Change, doesn't always depend on size - It's the magnitude that counts. When something as meager as a safety pin can be the cause of a huge change, faith in humanity is restored. After last week's Brexit vote that stunned the world, the United Kingdom saw a staggering 57% increase in reported incidents of xenophobic abuse, according to the National Police Chiefs' Council. Polish immigrants in the UK, primarily have been subjected to xenophobic treatment both on and off social media. Just when things were about to take an ugly turn, a twitter user in America proposed the simple idea of having a symbol to display solidarity towards those immigrants who have suffered xenophobic treatment from residents in UK. Her idea, though simple, was dynamic enough to touch the lives of those who wanted to sincerely protect those who had made the UK their home. In a series of tweets that started off as just being an idea from the mind of a common man, this twitter user who goes by the name of 'miss pommery 1926', stirred a revolution. She proposed the idea that "anyone against the sort of nationalistic, racist violence we've been seeing could identify themselves as a safe ally.... A safe person to sit next to on a bus, walk next to on a street, even have a conversation with... I quite like the idea of just putting a safety pin, empty of anything else, on your coat. A literal SAFETY pin!" And thus, the idea of wearing a simple safety pin, void of any kind of attachment to it, came into being. The idea took off with many social media users who started sharing photos of themselves, proudly wearing a 'safety pin' to announce to everyone that they believed in a society that was free from discrimination of any sort. It is easy to spread hate, but hard to love. 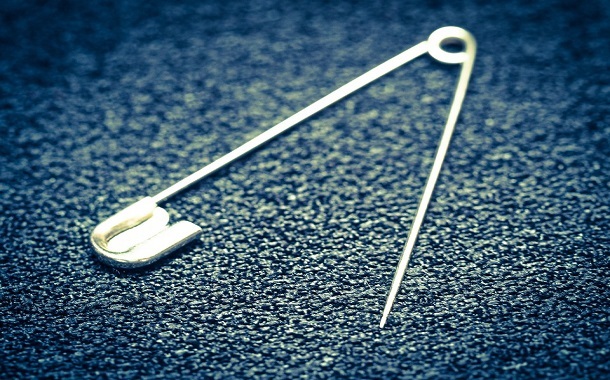 A person wearing a safety pin declares that he/she is a genuine well wisher of immigrants to the UK, and is hereby a 'safe' person to be with, in manner of speaking. For those living in the ignorance of equality for all, the light was shown- gleaming from the reflections of the simple safety pin. When the citizens of a country like the United Kingdom believe in the supreme religion of humanity, there's no better time than now to apply for your UK Visa.